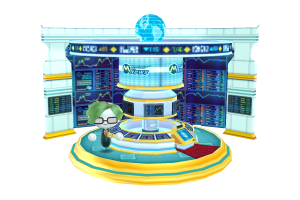 Of all the things my Mii had been doing in the StreetPass games, I never expected them to end up playing the stock market… but then I got StreetPass Trader and it happened. I should also add that Nintendo gave this game away for free at some point, which was when I got it, so that was pretty cool of them. So, anyway, here’s how this game works. 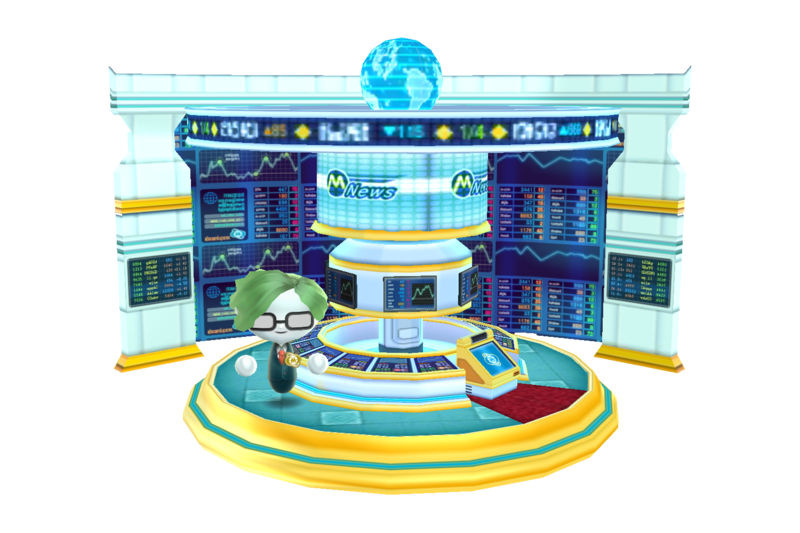 Your Mii arrives at a big trading centre and speaks with a man called Wallace Street (remove the ‘ace’ and enjoy the pun) who explains how the stock market works. Then all of the Miis that you’ve amassed via StreetPass appear and are stock market analysts. You’re given a choice of businesses to buy and sell stocks in and you do this as their value changes in real time. Before you choose a business, you’re given a line chart to predict the growth of each business – the more analysts you have, the more accurate the prediction. This is useful in that it can help you to decide which businesses you want to buy (or sell) stock in. What makes these businesses so cool is the fact that each of them is based on another StreetPass game. After buying or selling stock, you are given the opportunity to buy products from the businesses (their value depending on the value of the stocks) and you can sell these at a higher price later on, if you so choose. The products you can buy are items from the other games and it gave me a weird thrill to buy a copy of the snowman from the background of Puzzle Swap or a life-size model of Mr. Mendel from StreetPass Garden. That’s pretty much all there is to this one. The goal is for your Mii to become rich and you have certain wealth accumulation-based milestones to reach. When I compare it to something like StreetPass Fishing which ended with a damning comment about humanity’s self-destructive tendencies, it’s a little bit disappointing, but I suppose I don’t expect a great story from these little games. Overall, it was quite a fun and unique little game and I am sure fans of the other games will love this one too.